Worked with UN Volunteers, which is a fantastic organisation that promotes sustainable human development globally through the promotion of volunteerism. Charlotte identified the opportunity, drafting and leading the tendor response and submission process for this six-figure contract and successfully beat the global competition. In addition she managed oversight of planning, invoicing and project management resourcing during the project duration. RT founder and strategic director Ross Thornley said: “I know we have made a positive difference to them and that is all that matters. This was a once in a career opportunity and I am so pleased we managed to win it.” News article here. Working in a senior IT management position, Charlotte with a wider team delivered the IT build of a new start-up UK bank, GE Capital Direct. 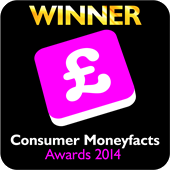 In 2014 it won in category of ‘Online Savings Provider of the Year’ at the Consumer Moneyfacts Awards 2014. This award recognised the customer focused, innovative, easy to use online tools and technology solutions setup for this start-up UK bank. Charlotte worked specifically programme managing and delivering solutions to automate credit, risk and exposure management. Charlotte was selected by Vodafone to donate herself and her experience for a charity of choice in 2013. Out of thousands of applicants she was one of the 500 people chosen to work for their dream charity. She worked for Nukanti Foundation for Children, an independent international non-profit organization using her project management and leadership skills to establish the charity in the UK from virtually zero. The extranet re-design project was named Innovator of the Year – 2011 at Leasing Life magazine’s annual awards. As IT PM, Charlotte created an extranet tool that provides vendor finance partners, resellers a simple way to deliver leasing solutions, where partners and resellers gain access to online tools that calculate rentals, produce quotes and instant credit checks. Charlotte was nominated as ‘Rising Star of the Year’ in 2010 by GE in the external Connecting Women in Technology Awards. Listed as inventor for “Patent Pending” in work on project piloting Electronic Signature technology as part of a business process, 2006. Partnered with company then EchoSign, that later was bought by Adobe and the technology in PDF for eSigning today is partially result of improvement project Charlotte collaborated with the supplier.